The polarity switching system in the sturdily constructed FS1 non-latching footswitch makes it suitable for use with contemporary keyboards, drum machines and home recording equipment. 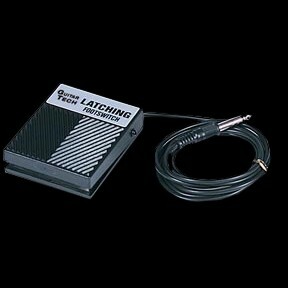 Offers press on-press off operation making the FS2 non latching footswitch ideal for straight- forward and easy effects on guitar amps, for instance chorus, reverbs, etc., which can then be switched off again at the appropriate moment, without having to walk back to the amp to switch manually. A must for onstage use.